Ellen Bach practices principally in the area of labor and employment law and litigation. Ms. Bach represents public and private employers in federal and State courts, labor arbitrations, and administrative proceedings before the U.S. Equal Employment Opportunity Commission, U.S. Department of Labor, New York State Division of Human Rights, New York State Department of Labor, and other administrative agencies. For more than 25 years, she has advised clients regarding daily employment decisions such as hiring, discipline, and termination of employees; drafted employment contracts, personnel manuals and other employment related documents; and worked with employers to ensure compliance with federal and state statutes such as the Americans with Disabilities Act, Title VII of the Civil Rights Act of 1964, the Age Discrimination in Employment Act, the Family and Medical Leave Act, the Fair Labor Standards Act, and others. She has previously served as special in-house labor and employment counsel to a Fortune 100 company. Represents public and private employers in federal and State courts, labor arbitrations, and administrative proceedings before the U.S. Equal Employment Opportunity Commission, U.S. Department of Labor, New York State Division of Human Rights, New York State Department of Labor, and other administrative agencies. Advises clients regarding daily employment decisions such as hiring, discipline, and termination of employees; draft employment contracts, personnel policy manuals and other employment related documents; and work with employers to ensure compliance with federal and State statutes such as the Americans with Disabilities Act, Title VII of the Civil Rights Act of 1964, the Age Discrimination in Employment Act, the Family and Medical Leave Act, the Fair Labor Standards Act, and others. Represents FORTUNE 100 and FORTUNE 500 companies in discrimination cases before New York State and U.S. federal courts. Represents public libraries and library systems in full range of legal issues, including creation of new library districts and development of new funding mechanisms for libraries, employment matters, governance issues, contracts, patron issues, real estate matters, and construction projects. Represented health care association client as amicus curiae to the United State Supreme Court in successful litigation regarding the validity of regulations promulgated under the Fair Labor Standards Act. Represents litigants in a variety of matters on appeal to the New York Court of Appeals and the New York State Appellate Division, Third Department, and the U.S. Circuit Court of Appeals for the Second Circuit. Ms. Bach is a member of the New York State Bar Association, Labor and Employment Law Section. She serves as a member of the Board of Trustees at the St. Anne Institute. She is a member and Officer of the Board of Trustees of the Academy of the Holy Names. She is a past member of the Albany Public Library Board of Trustees and the Albany Public Library Foundation Board. She has served as a member of the New York State Board of Regents Advisory Committee on Libraries. In 2010, Ms. Bach was awarded the New York Library Association’s Outstanding Advocate of Libraries Award. In 2003, she was named the Upper Hudson Library System’s Trustee of the Year. 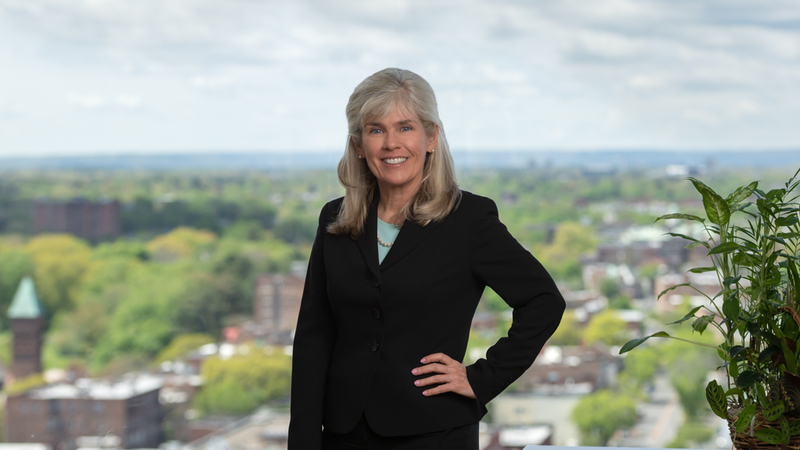 Prior to joining Whiteman Osterman & Hanna LLP, Ms. Bach worked at Foley Hoag & Eliot in Boston, Massachusetts, and served as a legal intern to Judge Margot Botsford of the Massachusetts Superior Court.